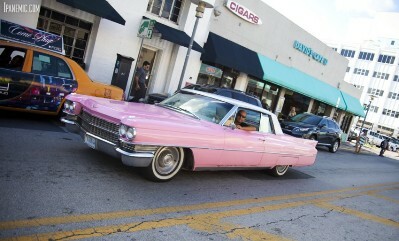 Miami is a fun city to explore and having a car makes it easier to get out and see what the city has to offer. Whether you are renting a car for your time in Miami, or you drove here on a road trip through Florida, here are some driving tips to help you during your stay. The new rental car center opened last year at Miami International airport, making it much easier to pick up a car at the airport. All the companies are housed under one big roof on different floors only a mile away from the airport entrance. Free shuttle buses run constantly from the arrival halls, so just hop on and go to the company you have chosen for your car rental. Returning the car is also easy to do as it is well signposted from the airport and there is one entrance for all the rental companies. You can drive in the United States on a foreign license as long as it is valid and has not expired. Rental companies will also accept foreign licenses but if it is in another language, it is a good idea to buy an International Driving Permit (IDP). An IDP translates information contained on your driver’s license into 10 languages so that officials in foreign countries are able to interpret your license. An IDP is a supplement and does not replace your original license while you are driving in America. If you are stopped by the police, you will be asked to produce both your IDP and your official driver’s license. The United States does not issue International Driving Permits to foreign visitors, so you will need to obtain this document before traveling to the U.S. The age limit for driving varies at the different rental agencies. Check with the company you are booking with, as many do not rent cars out to drivers below the age of 25. Whether you use a map or a sat nav device such as a Garmin, make sure you plan your route carefully and know where you are going. If you have collected a car from the airport, the rental car center is on a busy section of highways so check your hotel address and directions. To get to South Beach from Miami airport, follow the signs for 836 East. This road will take you directly there. There are two main bridges into Miami Beach from Miami, the Julia Tuttle Causeway which is the I-195 bridge and the MacArthur Causeway which is the I-395 bridge. There is also the Venetian Causeway but this is a residential road with a toll and bridges that will stop cars for boats. Locals use this bridge to avoid freeway traffic, but it is not a quicker or easier route into South Beach. America uses miles to measure distance unlike most of Europe which uses kilometers. The conversion is 1 mile to 1.6 km, so if you are driving from another country, be aware of the speed limits and do not drive in km. Unlike countries in Europe, in Florida you must carry your driving documents with you. Do not under any circumstances leave your license tucked away in your hotel safe, carry it with you at all times. Learning some of the road rules before you arrive if you have never driven here before is also a good idea. America drives on the right side of the road, and roads rarely have roundabouts, known here as traffic circles. The road junction with stop signs on all four corners is very common. At a red stop sign you must come to a complete stop. Whoever arrives at the 4 way junction first has the right of way, after stopping. If you do not stop at a stop sign, you could get a very expensive traffic ticket. But the main road rule to remember in Miami is that people here drive recklessly. People talk on their cell phones whilst driving and do not pay attention to the road. You have to drive defensively. People turn without indicating, run red lights and drift into other lanes in the freeway. Driving here is not for the faint hearted! However if you do have a car during your stay, it opens up all of South Florida to explore, so drive to a baseball game, explore the Everglades and take a trip down to the Keys.